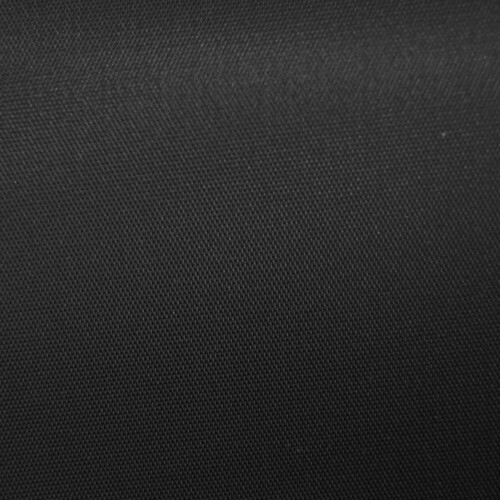 The Savage 5 x 7' Infinity Vinyl Background--Matte Black is a sturdy matte finish vinyl background in non-reflective matte black that's easily cleaned with a sponge, and can be used with most background support systems. It hangs straight and resists wrinkles--it's ideal for portraits and other professional photographic work. It weighs 8 lbs (3.6 kg). 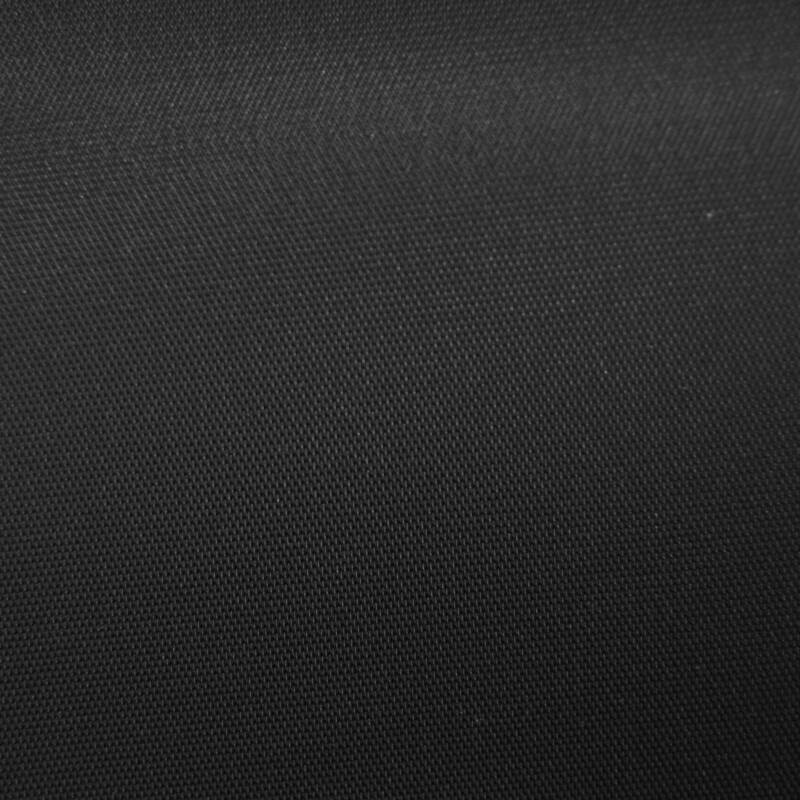 5 x 7' Infinity Vinyl Background--Matte Black is rated 4.7 out of 5 by 67. Rated 2 out of 5 by TM from Portrait orientation only If you had thoughts of using this vinyl backdrop for landscape orientation, understand that the vinyl is semi-permanently mounted with a strong adhesive and packaging tape to the cardboard inner tube.Quite thoughtful if you only use it in portrait orientation as this feature makes it easy to roll back up.For those of us who like to think outside the box, well, you're SOL. No landscape orientation is possible because the tube's weight drags that side down. I haven't decided if I'll return it or figure out a way to remove the adhesive and replace it with 3 wide velcro.Yes, I could purchase the 8' by 10' sized version, but how many people want to drag a nearly 20lb. 8' long tube around for on location shoots? And that's assuming your vehicle can fit it inside! Rated 4 out of 5 by Texas T-dog from Does the job If you're on a budget, it works just fine for basic portraits and close-ups. I worried about reflections and hot spots, but it worked fine for the portraits I shot the day I got it with a simple Novatron 2-light setup. I'm not a master portrait guy or anything, just a semi-pro in a small town who gets called on by the locals to do a few jobs because we don't have a true pro photog in town. I like that this is more durable than paper and is easy to clean up. I wish now that I'd gotten a bigger one than 5 x 7 feet, but I'll probably get one soon. Rated 5 out of 5 by AshleyH from Best replacement for Pure White Seamless I am very selective with products and on a very limited budget with my equipment. I do as much research as I can, and possible hands on, before purchasing anything. With that said, this is a great replacement for pure white/super white seamless. Little reflection (if any), and durable. Just make sure you use a proper width table to keep it from kinking and overhanging, if you shoot products. The white actually came out white, and not a weird off-white, or creamy color; and no need to over-expose it by a full stop, or two. The only thing to be aware of is hang onto the actual roll when unrolling, or it will just zip off and unroll itself very quickly. I am still waiting to shoot on the Black Vinyl (purchase, just not used yet). If it is anything like the white vinyl, I will be anxious for the release of other colors such as Sienna! Rated 4 out of 5 by Baqi from Great Surface for the Cost This material is of course easy to use, well packaged, has a good core for holding the roll on a pole between stands...basically a 5 star item. I rated it 4 stars because it is not quite as heavy a material as I had hoped and thus when curved it is not quite as smooth as I would like...it requires some pulling and clamping at the base to make a good cove. Its pretty amazing at staying black and defelcting direct frontal light. It does quickly go grey with top/backlight hitting the surface at a reflective angle (as does all material). I do recommend it, esspecially for the price! Rated 4 out of 5 by jherdman from Great Product I really like this back drop, but I thought it was going to be smooth. I use it to take food pictures, and whereas I really like it because I can plate the food right on to the vinyl, I dont like that there is a pattern on it. Again, I thought it was going to be smooth vinyl not patterned. Otherwise, its a great product . Rated 5 out of 5 by Anonymous from exciting new images an exciting new addition to my studio - no grief over wrinkles which distract from the perfection of a well lit subject: far superior to any cloth backdrop. additionally - the vinyl creates its own lunimenscence when properly lit -- the vinyl creates a bright white glow which acts as a natural hair lite and also outlines the face and body - adding a heavenly softness similar to a perfectly sunny day. heavyweight to be durable. some people expressed a concern about its texture - while i keep quite a distance between subject and backdrop - the lighting also issures that texture is not a concern. only 'downside' could be its rapid deployment after its on the backdrop frame - just be ready for it.. it is either UP or totally down.. it unrolls itself... which is fine as long as you are expecting it. the bright white of the vinyl is so clean and fresh. Excellent for magazine covers or images with text - and the reflective nature of the vinyl uplifts the skintones of the subject. this backdrop was a real surprise - i expected simply a nice smooth wrinklefree background and got that plus a big wow splash of magic. 5x7 is a very handy size for a single subject - but it seems that a larger size for a bigger shoot can only bring more magic. Rated 4 out of 5 by ngcreations from Good overall except for close-up/macro This background is good value for the money. I have been using it for product (mostly fashion) and portrait photography and it is suited well for this purpose. It is not good for close-up/macro photography such as table top small product images, such as jewelry and such as it does have texture. It is easy to clean. Nicks and wrinkles in the background go away after it hangs for a a few hours. Rated 4 out of 5 by Stomlin21 from Pretty Good For the price it's a good background...no complaints. The tube it came in required the hand of God to open but once it was opened I felt very accomplished and that boosted my self-esteem for the rest of the day. Would removal of gaffer's tape damage the vinyl? If using the cloth type of gaffer tape, that would not damage the vinyl. Will these work on a wall-mounted roller system, like the Impact wall mounting kit? If so, what's the diameter of the tube these come on (for getting some PVC pipe)? Savage lists their vinyl background as having a cardboard core which measures about 2.1 on the inside. If using it with the Impact Wall Mounting Kit, the Vari-Drives in that kit would insert into the cardboard core to help suspend it up onto the wall hooks. When hanging freely from a rod to the floor, does it curl like seamless paper and therefore require the free end to be clamped or weighted down? can we take it to diverse locations_? As far as I'm concerned, yes. It's a little heavy, but rolled up and back in its shipping tube, it fits in an average car with one end in the front footwell and the rest leaning toward the back of the car. Does not get in my way when driving. FYI, this is my third vinyl ground. I use it on flat surface for shooting museum needlework. I did not understand that the surface could scratch (a bit like a record) which eventually led me to purchasing #2. And the third one I take with me for shoots not in the museum where I usually work (and have vinyl ground #2 stored.). I use distilled water and a clean rag to clean. LOVE this product. Is this backdrop black on both sides? Or is it white on the opposite side? It's black on both sides--it's made as a solid sheet, so it's black material all the way through. What do I need to hang this on a wall? I would suggest using a Deluxe Varipole Support System with Metal Chain Kit (Impact IMVP12SPSK). This has everything you need to mount up to three backdrops - the main benefit is it has a clamping mechanism so as you unroll the backdrop it doesn't all unravel and fall to the floor. Also, it adjusts to different ceiling heights and can be disassembled if you need to move your set up. How well does this background handle backlighting? it was fine for me. I mostly used it for backdrop for commercial shoot. it is a very versatile background.